I’ve written before about finding songs for your choir and covered a range of sources: radio, CDs, workshops, songbooks, the internet and learning tapes. 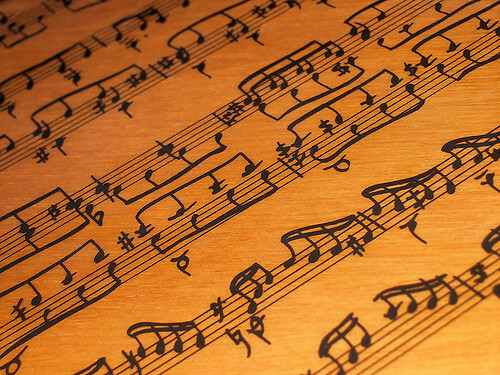 But once you’ve found a song that you might arrange, how do know if it’s suitable? I’ve considered whether ALL songs are suitable for purely vocal arrangements (and I don’t believe they are) and why I don’t think choirs should sing pop songs. But even if you don’t agree with me, another big consideration is whether the song you’ve chosen is in the public domain or still under copyright (in which case you need to ask permission to arrange it, and may have to pay for the privilege). Many community choirs think that they can ignore copyright because they “don’t perform” or “only do performances for charity” or “don’t use sheet music but teach by ear”. Strictly speaking, copyright still applies. You can read an introduction to copyright in my seven part series: Songs and copyright. Once you’ve chosen an appropriate song, you shouldn’t just jump in and start arranging. It’s worth asking a few questions before you start. Some of the answers can also help you narrow down which songs to choose to arrange. how many separate parts? – a simple song can be destroyed by arranging it for too many parts. Sometimes a simple two-part arrangement can be most effective. But it also depends on the number and range of singers in your choir: will they be able to cope with a four-part arrangement? how many singers? – there are wonderful delicate ballads which sound awful if a large choir sing them, but beautiful if a small ensemble has a go. It’s good to have a particular group of singers in mind before you start arranging as it helps you come up with ideas. mixed or equal voice choir? – if it’s a single gender choir, then you’ll probably have to stick to three parts (unless you do a close-harmony or barbershop arrangement). If you’ve got men, can they cope with a meaty bass part? trained singers or community choir? – this will affect the range of notes available to you in your arrangement. Most untrained singers in community choirs won’t be able to sing very high (or very low). is there an existing arrangement? – it will save a lot of work (and time) if there’s a suitable arrangement out there already. Worth checking. Try Googling the song title with SATB or “sheet music” and see what pops up. If it’s a particular artist’s version of a song you want, then add their name into the search too. You might be lucky and find a free arrangement of a public domain song or maybe have to pay a little bit. If it’s not exactly what you’re after, then you can always tweak it. appropriate to the culture or genre? – it’s impossible to be truly authentic to a song’s source, and some of our favourite versions of old songs are ones with a radically different approach. However, it’s good to think a little about where the song comes from. For example, songs from the Pacific (New Zealand, Polynesia, Hawaii, etc.) have a very particular sound which you might want to emulate in your arrangement. Countries in Asia tend not to have harmony singing traditions, so be aware when arranging songs from there that you’re ‘Westernising’ them. It’s good to break rules though and some of my favourite arrangements of English folk songs make them sound like they come from the Balkans! Now you’ve got your song and thought a bit about how you might approach an arrangement. The next step is to actually work out the harmony parts and structure. I’ll be covering this in next week’s post: Arranging songs for your choir 2: the basics of arranging.